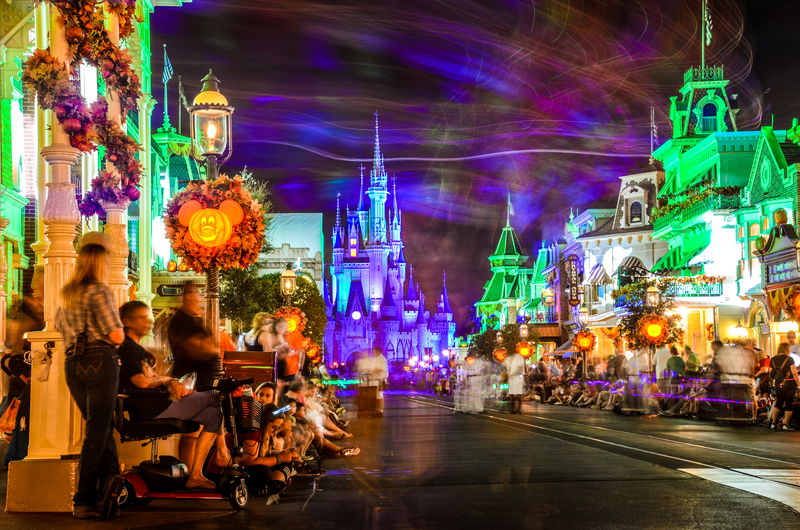 Walt Disney World’s Magic Kingdom is home to two very popular holiday parties – Mickey’s Not So Scary Halloween Party and Mickey’s Very Merry Christmas Party. Both parties are a fun experience and are worthy of your time, if money and time weren’t part of the equation. Unfortunately, they are part of the equation. Planning a trip (and adding an expensive ticket to an already expensive vacation) that coincides with these parties is doable, planning two trips to attend both parties is far less likely. In this post, we’ll compare the two parties and eventually settle on which party we prefer if you have to choose between them. 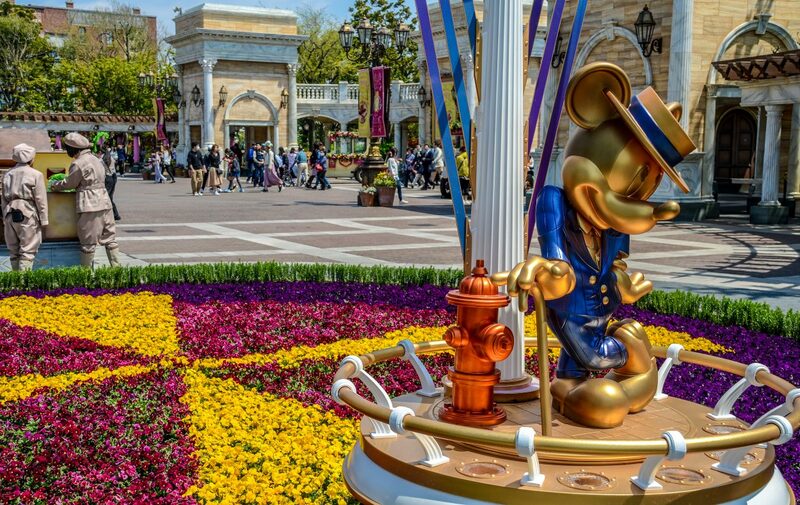 Before we get too far into this post, it bears mentioning that there are certainly more factors into deciding between visiting Disney World in the September and October or in November and December. There are festivals, entertainment, crowd levels, weather, and prices to consider, not just whichever holiday party is better. Deciding between the parties should only be a fraction of your decision. With caveats out-of-the-way, let’s get to the showdown. Both Magic Kingdom parties have entered the thunderdome but only one will leave as Wandering in Disney Holiday Party Champion. It’s a coveted title that requires an intricate scoring system. While the parties celebrate different holidays, they are similar in format making our scoring pretty simple. We’ll break the parties down into different categories – Nighttime Spectaculars, Parades, Entertainment, Atmosphere, and Extras. All of those categories are fairly self-explanatory, save the last one. Extras will just embody anything that isn’t already included in those categories. I’ll breakdown what each party offers in the specific category, declaring a category winner. It’s not a perfect science but it will eventually lead to us declaring a winner. Let’s get to it! The first two categories are the most simple. Taking the two biggest pieces of entertainment that the parties offered and giving them each their own category seemed like the right move. Both parties kind of build up to the parade and firework show. 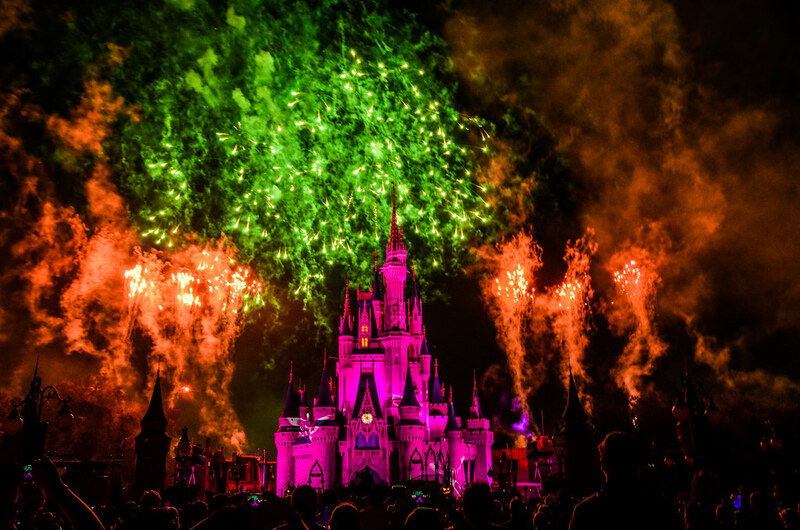 To be sure, HalloWishes and Holiday Wishes are both fantastic shows. Holiday Wishes takes excellent pyro and pairs it with classic Christmas songs. The perimeter bursts are exceptional and the show flows very well. That isn’t enough to overcome HalloWishes though. HalloWishes wins this category because it takes the pyro and perimeter bursts that Holiday Wishes offers and adds something unique to a Disney fireworks show, villains! Running through an incredible gamut of villain songs, the fireworks enhance the spooky soundtrack. HalloWishes wins going away in this category. I may be in the minority here, but I prefer Mickey’s Once Upon A Christmastime Parade over Boo To You. That being said, the competition is very close. Boo to You definitely has a superior soundtrack, unless you really love overproduced, pepped-up Christmas songs. Once Upon A Christmastime is better in every other way though. The floats are unique and diverse. I think the lighting during the Christmas Party is much better than the Halloween Party, although some of that is just the ambiance they’re going for. Most of all Once Upon A Christmas has one factor that makes it a quintessential Disney moment – the snow. Granted, you do have to watch the parade on Main Street to see the snow, but it’s a perfect backdrop to Santa, Mickey and a whole host of other interesting characters. Watching the Toy Soldiers in the snow with the castle in the background is an incredible experience. Just like the parade, this is a very tough call. 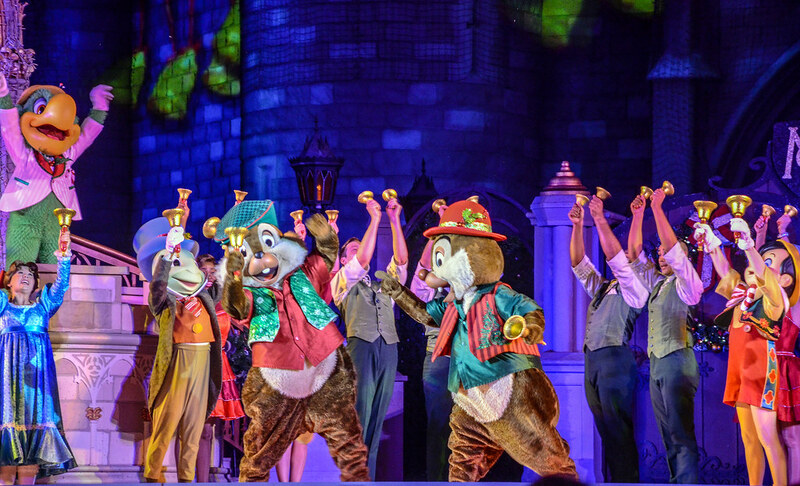 MIckey’s Very Merry Christmas Party has more stage shows which I always enjoy. Why it doesn’t win the category though is because of Not So Scary’s exceptional Hocus Pocus Villain Spectacular and character meet & greets. While we enjoy Mickey’s Most Merriest Celebration, the Christmas Party’s castle stage show, Hocus Pocus is better. There are so many Disney villains on stage that it makes for a very unique show. 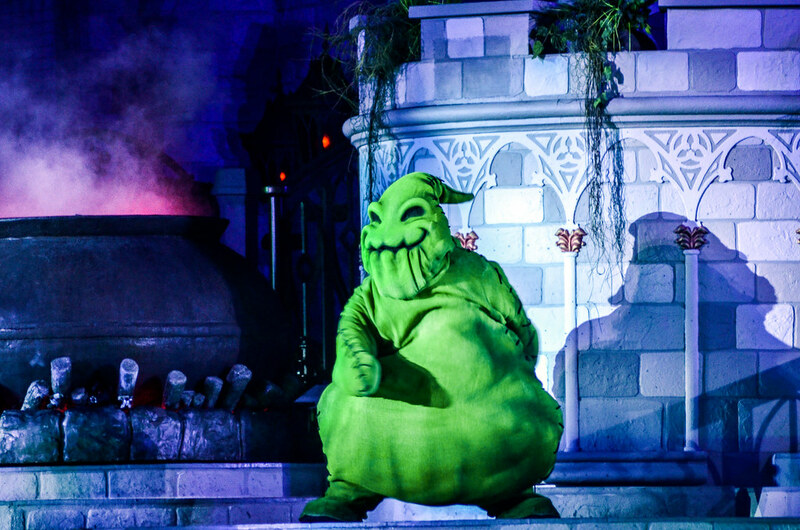 Oogie Boogie is featured heavily in the show, granting him the fame he so deserves. As for the rest of the comparisons in entertainment, it’s probably a wash. Each party has ample opportunity to see the Country Bears, a very important component to any ‘party’. As I said, the Christmas Party has a few more actual stage shows while the Halloween Party has a better cast of characters to meet & greet. Both parties offer a great time in this regard. The atmosphere is more of a personal preference, honestly. Having said that, I like Christmas far more than Halloween generally so it was somewhat surprising that I prefer the Halloween Party. Don’t get me wrong, I’m not sure the Halloween Party peaks quite like the snow falling on Main Street, but the entire party just has a stronger atmosphere. 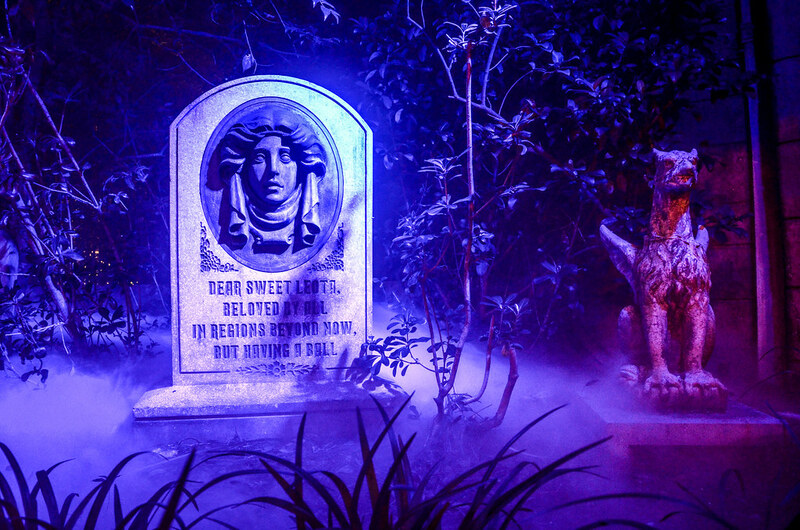 The environment is more festive and the attractions play into Halloween more than they do Christmas. Some of this atmosphere is thanks to everyone dressing up in costume. While it could be seen as cheesy, instead it’s fun to see everyone in costume. The characters and cast members play off the costumes and some costumes are very clever. All of this has me giving the Halloween Party the edge here. This category could also be seen as the food and dance party category. Simply put cookies>candy. The ‘complimentary’ (you paid for them) treats at the Christmas Party are heads and toes better than the candy you get at the Halloween Party. While the novelty of Trick or Treating is fun, the cookies, pretzels, hot chocolate, sno-cones, and eggnog are much better than candy. As for the specialty food that guests have to pay for, I’d call it a wash between the two parties. Dance Parties aren’t really my thing, but the Christmas Party does have the Country Bears dancing to bluegrass music in Frontierland and I don’t really need to write anything else, I just wanted to give the Christmas Party an extra win because of that. The Monsters Inc. Dance Party during the Halloween Party is fun mainly because I like the Monsters Inc. character costumes. It’s a close race, but Mickey’s Not So Scary edges out Very Merry by a point. I’m not surprised by that (I mean, I did write this post) because I prefer the Not So Scary Party. I tried to take personal preference out of it and look at the facts, that brought the score closer than I’d actually have it. Mickey’s Not So Scary sports a top 3 that is tough to beat in HalloWishes, Boo to You, and Hocus Pocus Villain Spectacular. Add in quality character meet & greets and a festive atmosphere and that is too much for the Christmas Party to overcome. Aside from Mickey’s Once Upon A Christmastime, the rest of the entertainment just doesn’t measure up to the Halloween Party. All that said, both parties a blast. I don’t necessarily think they are a good value (and that’s not what this post is about), but I do enjoy them. Both parties offer an incredible atmosphere that you won’t soon forget. It’s just that Mickey’s Not So Scary Halloween Party is a little better! 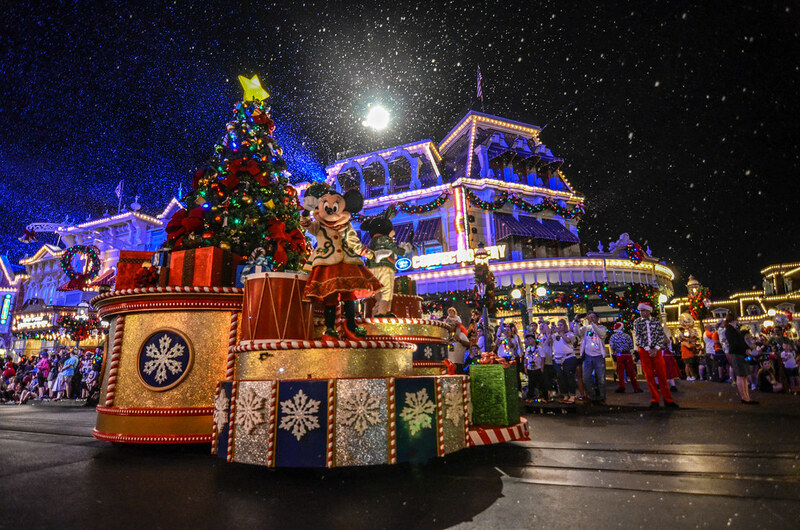 Do you have any questions or thoughts about Mickey’s Very Merry Christmas Party or Mickey’s Not So Scary Party? Let us know in the comments! Planning a trip to Walt Disney World? 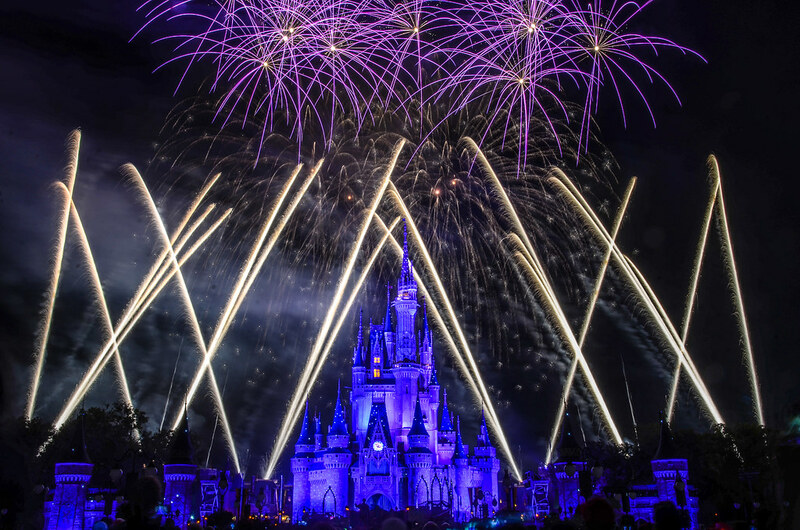 Check out our Disney World Trip Planning Guide to help you out. If you enjoy what you’re reading here on Wandering in Disney, you can subscribe to the blog via WordPress or email. All of those links are on the right side of this page. Thank you for reading, we really appreciate it!